FilmNation Entertainment has revealed the first movie poster for director Terrence Malick’s Knight of Cups, starring Christian Bale, Cate Blanchett, Natalie Portman, Imogen Poots, Teresa Palmer and Brian Dennehy. 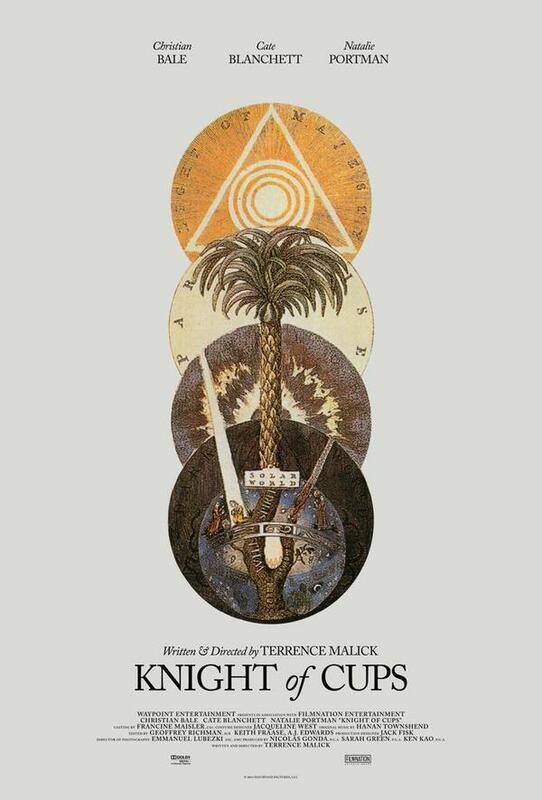 ‘Knight of Cups’ is a story of a man, temptations, celebrity, and excess from director Terrence Malick (The Tree of Life, The Thin Red Line). The poster is taken from the illustration entitled “The Tree Of The Soul” by mystical and alchemical writer Dionysius Andreas Freher; in The Works of Jacob Behmen, 1764.